Believe me when I suggest avoiding driving or taking a taxi in Beijing unless it is midnight and the city is sort-of sleeping. Beijing is one of the worst cities in the world to drive in. This is probably true for most of China’s crowded cities. To give you an idea of what I mean by crowded, New York City has a population of about 8.5 million and is ranked #1 in the United States with Los Angeles #2 with less than 4 million people. There are 160 cities in China with a population of over 1 million vs only 10 in the United States. Here are China’s top five cities ranked by population. I have been to Shanghai and Beijing several times between 1999 – 2008, and have been stuck in Beijing traffic breathing toxic fumes and watching the taxi’s meter adding numbers to the cost of the trip when we could have walked faster for free. The other choice is Beijing’s subway system built for the 2008 Beijing Olympics (and it’s still expanding), which I prefer using. It’s fast and efficient, but wear a money belt because it can become sardine-can crowded creating a perfect environment for pickpockets. I didn’t even wear my backpack on my back. I put it on my chest where I could keep an eye on it. To be fair, Smarter Travel.com warns us of the dangers of pickpockets in New York City. The same advice will help in any major city you visit. This video was filmed in 2013 when only one subway line was open. Today, Xian has three subway lines with sixty-six stations and an average of 1.5 million people riding the subway daily. Last time I was in Xian in 2008, the subway system was still under construction. Here is the simple answer. Since World War II, the U.S. has spent about $33-Trillion on its military budgets and fighting endless wars in Korea, Vietnam, Iraq, and Afghanistan causing millions to be killed and/or maimed. Without those wars, there would probably be no ISIS. Then there is the fact that since President Reagan in the 1980s, the focus in the United States has been on cutting taxes mostly for corporations and the wealthiest Americans. That has led to about $20 trillion in debt for the federal government. During this time, the U.S. has not kept its infrastructure up-to-date – improvements that would have provided millions of new jobs and benefited the American people. If the United States had avoided starting so many wars and had a military budget equal to China (ranked #2 in the world), it would have saved about $32-Trillion since World War II. There would be no national debt and the U.S. might even have its own bullet trains speeding from coast to coast. I’m not sure that America speaks all that softly and that stick has been around the world several times in too many countries and using that stick as a huge club has been costly. I did a bit of internet sleuthing and the military budgets approved by the Congress from 1946 to 2009 cost the American tax-payer about 23-Trillion dollars, and that’s not counting the years from 2009 – 2017. These figures also do not include the cost of wars since World War II. China intervened in the Korean War and sent hundreds-of-thousands of troops to fight with North Korea against the United States and NATO. To understand why the Chinese got involved, Mao said,”Vietnam (and Korea) is the gums to our teeth. What happens when the gums are gone?” At the time, China was surrounded by Communist-hating enemies except for the USSR. In addition, between 1965 and 1970, over 320,000 Chinese soldiers served in North Vietnam. The Guardian reports China increased its defense spending by 7-8 percent in 2016 to about $150 billion vs. almost $600 billion for the United States. The United States had a stalemate in Korea (and North Korea is a much larger hostile threat today to world peace than it was back in the 1950s), lost in Vietnam, and can’t seem to win or end the wars the U.S. started in Iraq and Afghanistan compared to China that fought a brief war in Vietnam in 1979 a few years after the U.S. left and then pulled out a few weeks later, and fought an earlier war with India in 1962 that also lasted a few weeks, and once China’s objectives were met, that war ended. Like so much about China, The Great Wall is also the victim of myths that are not always true. Did you know that the history of the Great Wall of China started with fortifications built by various states during the Spring and Autumn (771 – 476 BC) and Warring States (475 – 221 BC) periods? But the best-known and best-preserved sections of The Great Wall was built in the 14th through 17th centuries A.D., during the Ming Dynasty, more than two thousand years later. If you want to know more about The Great Wall plan a trip to China, or read Peter Hessler’s Country Driving. The first part of this book is about the months he spent driving the length of The Great Wall all the way to Tibet. In the first 122 pages Peter Hessler rented a Chinese made Jeep Cherokee. In this section, I learned that the Wall was successful most of the time and not the failure historians have claimed it was. Over a period of several thousand years, the wall failed a couple of times, but served its purpose and offered protection for China’s heartland for centuries. 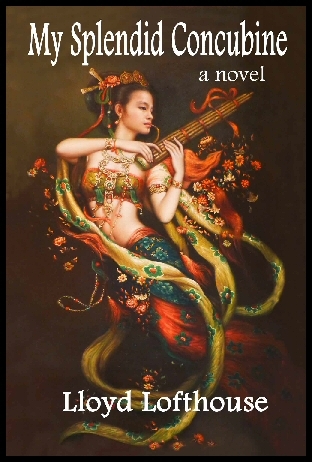 Hessler says that there is no archaeologist in the world that has studied the history of the Great Wall, but he wrote that there are amateur experts, and you will meet a few in his book along with a unique view of rural China. 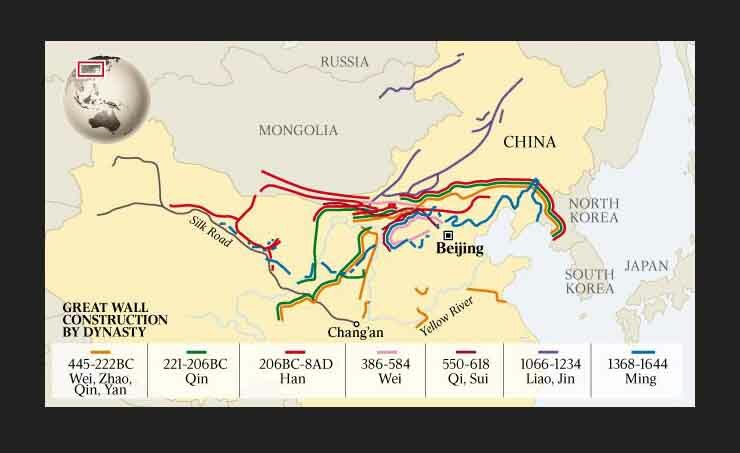 The Wall failed when first Genghis and then Kublai Khan unified the Mongol tribes and invaded China in the 13th century, but it didn’t happen overnight. It took sixty years for the Mongols to conquer all of China and then they ruled the country for almost a century before the Han Chinese rose up and drove them out. The sections of the Great Wall I’ve visited are an hour out of Beijing. The most popular site is at Badaling. The second choice, Mutianyu, is more dramatic, because this portion of the Great Wall runs along the ridge of a mountain range and you have to hike up a steep slope to reach it or ride a ski lift to the top. Badaling starts in a fortress in a mountain pass, and the wall climbs the slopes from there. Smithsonian Magazine reported, “Few cultural landmarks symbolize the sweep of a nation’s history more powerfully than The Great Wall of China. Constructed by a succession of imperial dynasties over more than 2,000 years, the network of barriers, towers and fortifications expanded over the centuries, defining and defending the outer limits of Chinese civilization. At the height of its importance during the Ming Dynasty (1368-1644), The Great Wall is believed to have extended some 4,000 miles, the distance from New York to Milan. China’s Great Wall was not built by one country, king, or emperor. The wall was built in sections by the kings of several nations over a period of centuries. Those walls were eventually linked together by China’s first Emperor Qin Shi Huangdi, who brutally unified China through bloody conquest into one country with one written language, Mandarin, and many spoken languages. I’m not sure that America speaks all that softly and that stick has been around the world more than once and has been costly. I did a bit of virtual sleuthing and the military budgets approved by the Congress between 1946 to 2009 have cost the American tax-payer about 23 trillion dollars. These figures do not include the wars since World War II. In today’s dollars, the Korean War cost more than $340 billion; the Vietnam War cost $740 Billion. To date, the cost of war in Iraq has cost more than $810 billion and Afghanistan $629 billion. To compare, the US military has more firepower. Between 1965 and 1970, over 320,000 Chinese soldiers served in North Vietnam. In 2012, China defense spending increased by 11%—more than $100 Billion compared to $738 Billion for the US. Discover When China’s generals laughed. 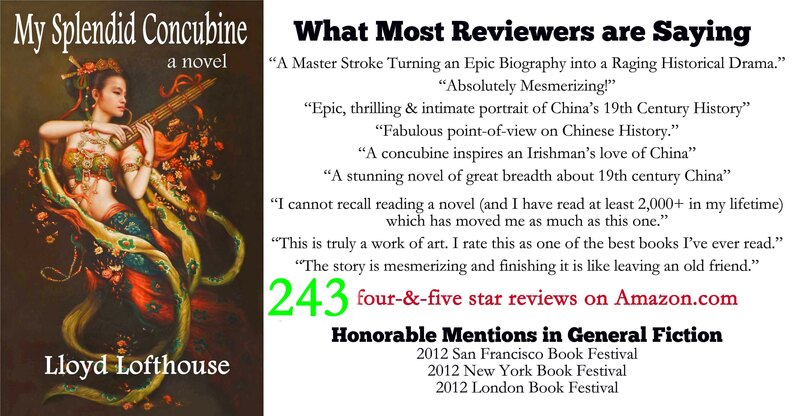 His latest novel, Running with the Enemy, was awarded an honorable mention in general fiction at the 2013 San Francisco Book Festival. This morning while reading a few Blog Posts on China topics, I ran into another example of manipulating the facts to influence public opinion—we could call it a white lie but I believe it is much worse than that because one day telling such half truths may lead to a war that kills millions of people and does unimaginable destruction to human civilization. Besides a photo of weapons and bombs, that was it. What that headline says may be the truth, but what was your first impression? Did you think that Russia and China were supporting the Assad government in Syria? How about America—did you feel that America was a role model in this area and believed that it would never do the same thing as a champion of democracy in the Middle East? If you formed an opinion that America was the good guy and Russia and China were evil, then you have been mislead by another example of how the media in the West twists facts and manipulates public opinion. For example, America and other Western democracies have praised Egypt’s recent democratic election, which saw an Islamic fundamentalist president voted into power. Mohammed Morsi, Egypt’s new civilian president, is the leader of the Egyptian Muslim Brotherhood. What does this mean for the West? Who knows? We may only guess. Correct me if I am wrong, but the current government of Iran was voted into power through democratic elections and yet Iran is considered one of America’s most dangerous enemies second only to al Qaeda and one day soon, we may be at war with Iran. Again, correct me if I’m wrong, there is a reason why America’s Founding Fathers despised democracy—they believed it would lead to mob rule and eventually the end of the freedoms spelled out in the US Bill of Rights. After all, doesn’t a democratically elected mob rule Iran? Oh, I thought you should know that Syria’s Bashar al-Assad is known as an enemy of the Muslim Brotherhood. In Syria, this Islamic fundamentalist political party has been suppressed for decades. His father, Hafiz al-Assad was ruthless with the Muslim Brotherhood too. Sometimes it’s better to stay with the devil you know. Anyway, back to Buffalo Hair Gazette International’s manipulation of public opinion by only telling some of the truth. In fact, if it weren’t for America, there would be no al Qaeda. The US funded and trained al Qaeda to fight the Soviets in Afghanistan and when the Soviets were defeated, al Qaeda turned on America. Have you forgotten 9/11 yet? The Economist also ran a piece on this topic. Click on the link and read what The Economist has to say. You will discover that between 2006 – 2010, Russia sold 23% of the global share of weapons while the US sold 30%. In fact, if we add up four of the top five weapons merchants—the United States, Germany, France and Great Britain—the total is 52% of all global weapons sales. France even sells to China as does Russia. When we look at a ranking of the World’s largest arms exporters, China ranks sixth place while the US is first place. Then we have the clincher—a story reported by Foreign Policy Magazine that fills in the rest of the blanks ignored by the Buffalo Hair Gazette International. An excerpt from Foreign Policy Magazine says, “The Export of American arms to countries around the world—even those actively repressing their own citizens—is booming. “Every May and June, different branches of the State Department paint contrasting portraits of how Washington views dozens of strategically significant countries around the world, in seemingly rivalrous reports by its Human Rights and Political-Military Affairs bureaus. Discover What is the Truth about Tiananmen Square? Shortly after the Chinese publicly announced to the world that it had succeeded with an ambitious space launch that includes time spent in a small space station, an unmanned US Air Force space plane landed in California. The U.S. military space plane known as X-37 OTV is an unmanned robot plane (with what looks like three windows down the side). This military robot space plane just spent a super-secret fifteen months circling the earth in low orbit with a super-secret package aboard, which could be anything. The X-37 was built by Boeing Government Space Systems. It weighs 11,000 pounds, stands 9.5 feet tall and is just over 29 feet long. This robot space plane was a NASA project before it was turned over to DARPA in 2004. While NASA has seen its funds cut, the military has seen its funds increased dramatically (more than double what it was in 2001). The 2012 Department of Defense budget is $707.5 billion (oh, and interest incurred on debt from past wars runs between $109.1–$431.5 billion annually). China’s 2012 defense budget, on the other hand, is US$106.4 billion with no interest incurred from past wars since China hasn’t fought any for decades. In 2001, US Military Spending was $307.8 billion; in 2002 – $328.7 billion; 2003 – $404.9 billion; 2004 -$455.9 billion; 2005 – $495.3 billion; 2006 – $535.9 billion; 2007 – $527.4 billion; 2008 – $494.4 billion; 2009 – $494.3 billion; 2010 – $712.0 billion, and 2011 – $658.7 billion. Since the X-37 is now a military project, there is no way to discover exactly how much was spent unless someone at Boeing leaks the information. How about the Chinese? Well, their most recent space mission is no secret. The Chinese have often been criticized in the West for lack of transparency, but when the US spends years on a military space project wrapped in secrecy, the Western media does not complain about that lack of transparency. On the other hand, I approve of both America’s X-37 space project and China building a space station. In addition, China plans to colonize the moon and visit Mars in the near future. Maybe this will motivate America to seriously get back into the space game. A little competition could be a good thing. Meanwhile, Sebastien Blanc writing for AFP, reports, “This is China’s most ambitious space mission so far. It is longer and more complex than anything previously done,” said Morris Jones, an Australian space expert. Is anyone questioning America’s intentions? After all, what nation has the largest military budget in the world; what nation is waging several military conflicts around the globe; what nation has several hundred military bases spanning the globe; what nation has the largest prison population on the planet; what nation has more than half the world aircraft carriers (eleven with three under construction), while China only has one and it was picked up used from Russia; what nation has the largest global weapons industry ($37.8 billion in 2008– Italy is number two with $3.7 billion in sales) and what nation is the only nation on earth to have ever used nuclear weapons during a war—twice? You are currently browsing the archives for the military spending category.